What Is a Bubbler Pot? A flooded basement can destroy generations of family heirlooms and memories, and it can also harm the foundation and integrity of your home. Fortunately, a bubbler pot can prevent this problem from ever occurring. What is a bubbler pot? A bubbler pot is a gutter accessory that collects water and redistributes it away from your house and onto your lawn, where it can keep your grass green and your trees watered. A bubbler pot is an underground downspout, which is a series of pipes connected to your gutter. Bubbler pots help remove standing water after a heavy rain by dispersing water evenly across your lawn so that it can soak into the soil. These pipes run through the soil and deliver rainwater and melted snow several feet away from your home. First, the water falls into a debris filter to prevent leaves, grass, and random objects like small yard toys from clogging the bubbler pot system. Then, the water is able to flow underground through the pathway of pipes. 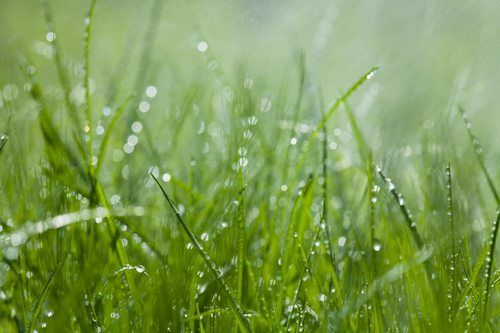 As water fills the bubbler pot, the lid lifts up and allows water to flow evenly across your lawn so your trees, grass, and shrubs can soak it up. Bubbler pots have slotted lids that let the extra water “bubble up” from the drainage system. After the water is released, the solid drain cover drops down and prevents rocks, grass, dirt, and other debris from entering the pot. Bubbler pots are installed about 10 feet away from the foundation of your home. They vary in size, but they are typically five to nine inches wide and are mounted on top of stone. They are level with the ground, so mowing and landscaping around a bubbler pot is not an issue. Bubbler pots are usually green so that they can blend in with the grass. A professional must install your bubbler pot. The process requires an extensive amount of digging, so consult with your state before digging to avoid hitting electric, gas, water, sewer, telephone, and cable lines. If grass does not regrow over the dirt above the pipes, you may have to plant new grass. Bubbler pots are made out of thermoplastic materials that are not biodegradable, so they are built to last. Since the drainage system and bubbler pot are both designed to prevent debris from entering, your bubbler pot should not require any maintenance unless it becomes damaged. Do not place anything on top of the bubbler pot because it is important to not obstruct the flow of the water. Does Your Home Need a Bubbler Pot? A bubbler pot can benefit most any home, but it is especially important to have one installed if you live near the base of a hill, in a valley, or in a region with high precipitation. A home without a bubbler pot is more likely to experience issues with a crumbling foundation, rotting wood, mold, and mildew. If you want to protect your home and valuable items from water damage, consider having a bubbler pot installed. What is a bubbler pot? It is a valuable investment that will protect your home’s foundation, along with all the items you have stored away in your basement. If you live in or near Springfield, Missouri, contact GlennStone Roofing and Gutters to receive a quote for bubbler pot installation. You can also give us a call at 417-860-8125 or send an e-mail to info@GlennStone.net. It would be our pleasure to work with you and prevent water damage to your home.